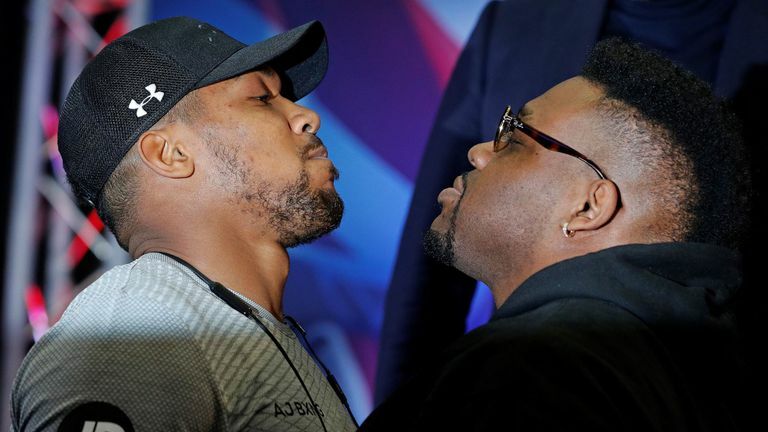 "I am looking forward to seeing what his face looks like at the end of the fight"
The IBF, WBA, and WBO champion has delivered a scathing reminder of his superiority ahead of their Sky Sports Box Office fight on June 1 in New York. "Miller is big, strong, can throw hooks, has a good work-rate. It's interesting because I'll be the first one to test him, and see how good he really is," Joshua told Sky Sports News. I'll be the first one to test him, and see how good he really is. This is his chance to prove himself to the world. "This is his chance to prove himself to the world." Joshua's US debut at Madison Square Garden will come after two feisty public appearances alongside Miller, the first of which became physical. He said: "It's not just about Jarrell Miller, it's about perfecting my craft. It's good to work on the position of my hands, fluidity, perfecting my weight. "Then at the end of it, I get to punish Miller. "I said I will reconstruct his face. I am looking forward to seeing what his face looks like at the end of the fight." Joshua vs Miller concludes a huge three weeks in the heavyweight division. Deontay Wilder defends his WBC belt against Dominic Breazeale on May 18, then Oleksandr Usyk debuts in the division against Carlos Takam on May 25, both live on Sky Sports. 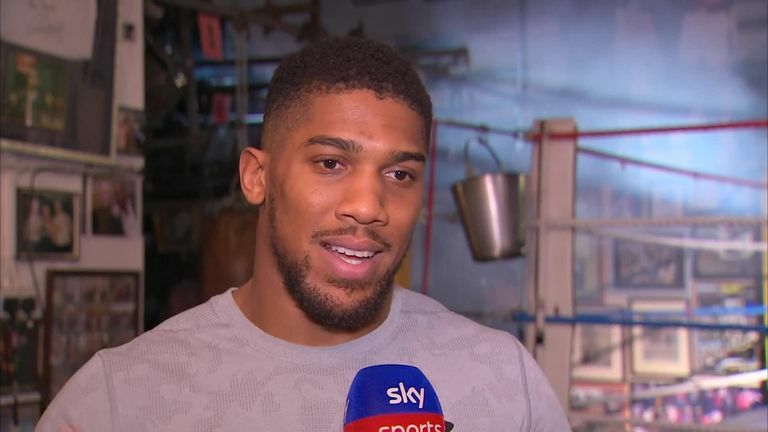 "I think it will be class if I can fight Wilder for the undisputed title, and then I could fight Usyk," Joshua said. "[A fight against Usyk] would be the undisputed heavyweight champion versus the undisputed cruiserweight champion at heavyweight. That would be unbelievable." Last month, Wilder was optimistic about a fight against Joshua with every major title on the line. He said: "We need to see one champion, one face, one name. "It is a mighty task to getting that complete. It takes cooperation with a lot of people to make that happen. "Everybody wants to see the big fight but there are certain things we need to do - [Breazeale] is the mandatory. One fight, one step at a time." Dillian Whyte, meanwhile, is still finalising an opponent for a July return. "He wants to have a proper fight, and that's Dillian Whyte all over," promoter Eddie Hearn said.